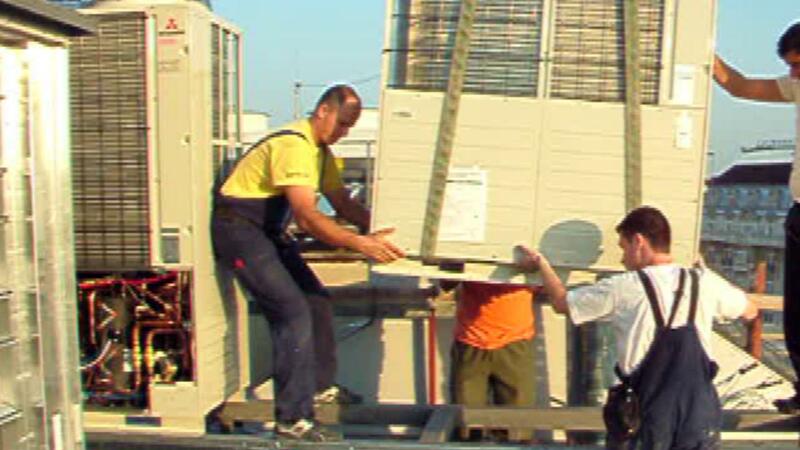 EMCO Ltd. - Custom HVAC Solutions And Cutting-Edge Technologies For Your Business. Custom HVAC Solutions For Your Industry. Our partnership with Japanese companies such as "Mitsubishi Heavy Industries, Ltd.," "Fujitsu General,” and "DAIKIN," offers our clients with the best-in-market equipment for their HVAC needs. 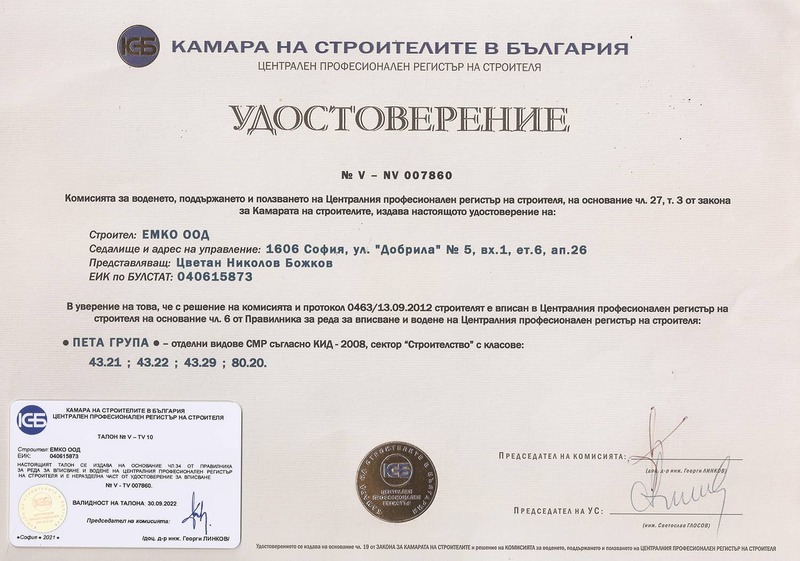 Some of our well-known clients include numerous hotels, the Foreign Ministry of Foreign Affairs of Russia - city of Moscow, and construction company “Bokar,” among many others. 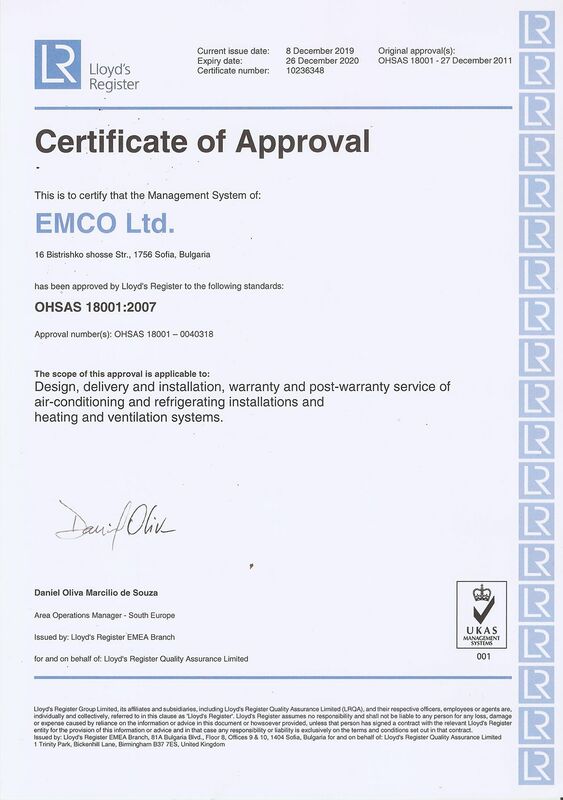 Design, Supply & Installation of Heat Recovery Systems, a VRV System and HVAC equipment. 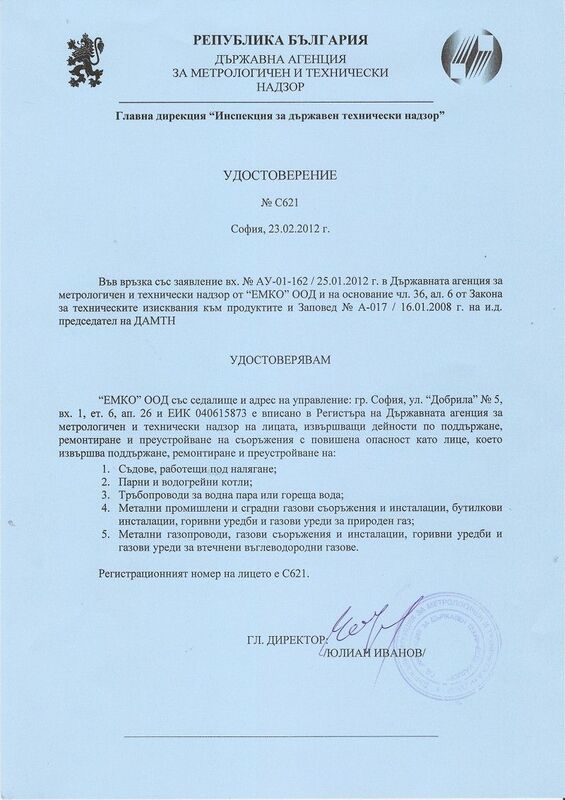 11 Metro Cash & Carry stores have subscribed to our Annual Maintenance Program here in Bulgaria. Design, Supply & Installation of VRV Systems and HVAC equipment. 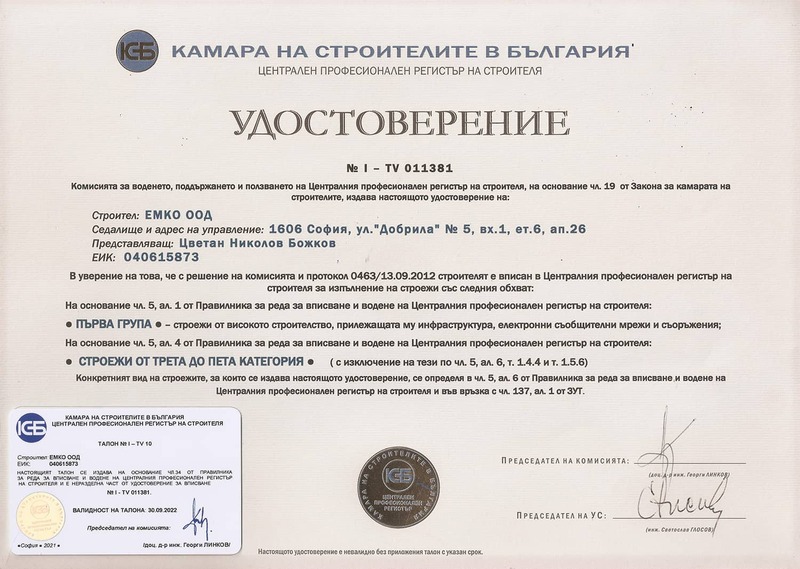 51 FIB offices have subscribed to our Annual Maintenance Program here in Bulgaria. Design, Supply & Installation of a VRV System. Design, Supply & Installation of a VRV System and Air to Air Rotary Heat Exchanger. Subscribed to our Annual Maintenance Program. 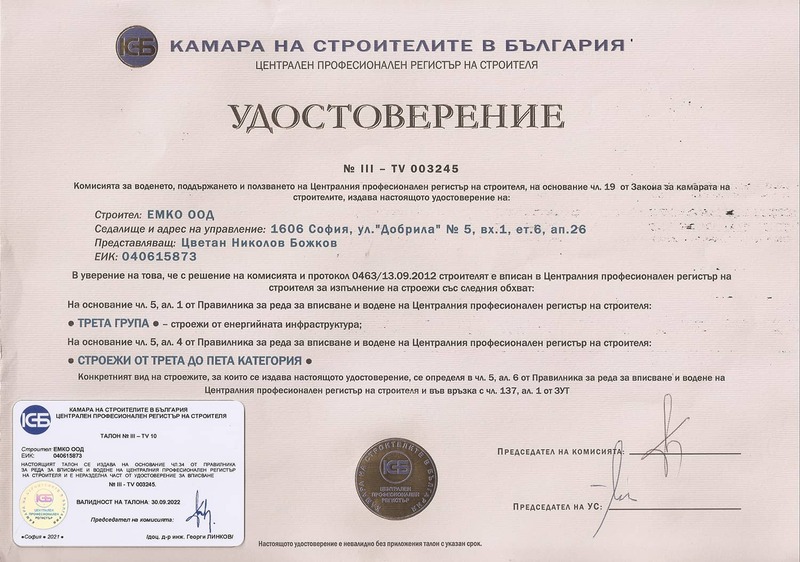 Both HIT hypermarkets in Sofia have subscribed to our Annual Maintenance Program. Design, Supply, Аssembly & Installation: 320kW high-temp. water-to-water geothermal heat pump (Swimming Pool & SPA) using mineral water & grounded coils as a renewable energy source. Our highly automated air conditioning systems deliver the necessary cooling required of operating IT equipment, commercial space, industrial buildings, homes, and more. 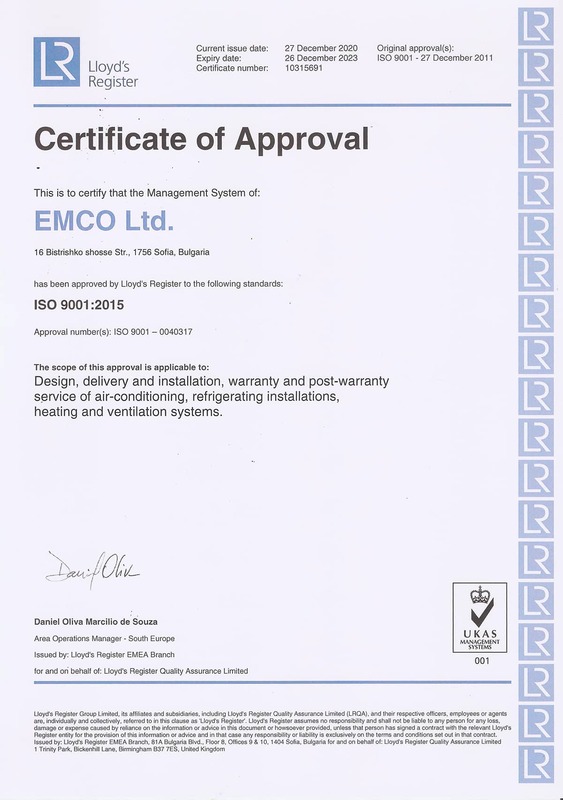 EMCO Ltd. will handle all of your HVAC design needs. From building specifications to implementation at the construction site, our engeneers will take care of everything along the way! We offer periodic check-ups of air conditioning systems regardless of warranty, type, brand, or company from which they were purchased. From hypermarket buildings to medium stores & industrial spaces, EMCO Ltd. implements cost-effective & energy-saving refrigeration systems sufficient for the demands of any environment. You need HVAC solutions or FREE on-site inspection? Our engeneers will design, supply, configure AND install everything you need! 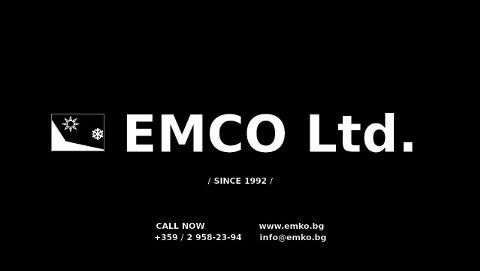 Established in 1992, EMCO Ltd. continues to provide Europe with exclusive HVAC solutions based on the best technologies available. Our team of qualified professionals offer homes, offices, hotels, commercial properties, industrial warehouses, among other properties with energy-efficient: air conditioning, heating, ventilation, and refrigeration solutions. 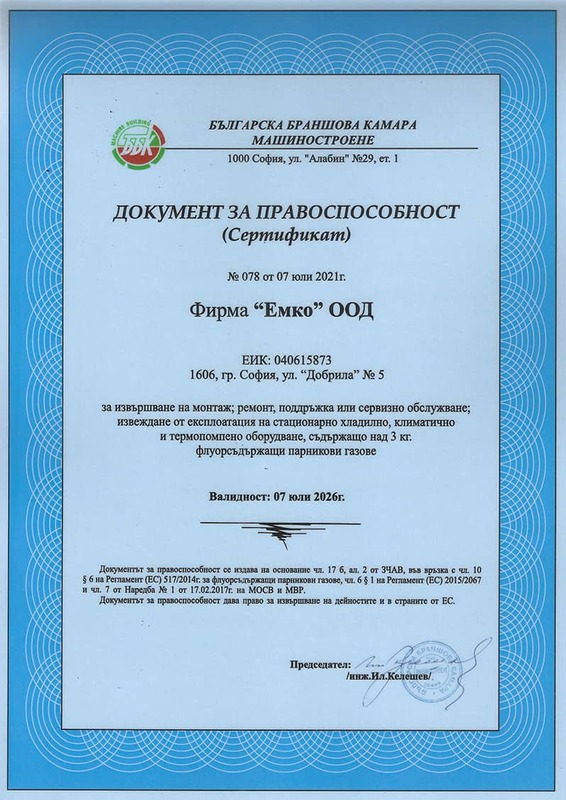 EMCO" Ltd. is registered by the Commercial Register of the Registry Agency & Central Register of Professional Builders to Bulgarian Construction Chamber (BCC) with certificates for ISO 9001:2008 and OHSAS 18001:2007.